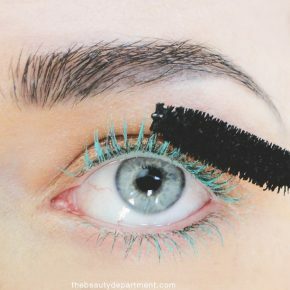 You will need: a comb, bobby pins (large + small), a small clear elastic, travel sized hairspray that fits in your purse if you plan on doing this after work without going home. Take your original topknot down letting it fall into a pony, and then smooth any flyaways with hairspray and the fine side of your comb. 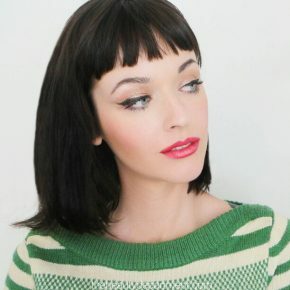 Tease small sections using your favorite teasing comb or teasing brush. Keep going until you’ve teased the entire ponytail. 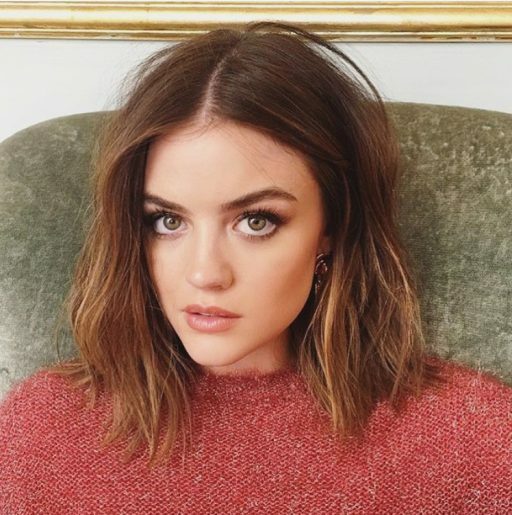 Smooth over the front-facing side lightly (not too much) using your comb and then add a small clear ponytail holder about 3-4 inches from the ends as you see in the photo. Once you’ve secured the small clear ponytail holder, gently roll all of the hair under. Roll it under until the clear ponytail holder meets the big ponytail holder. Now pin the clear ponytail holder next to your big ponytail holder. Thread the tail end of the ponytail thru the front as you see in photo 7. Lightly tease the end of the ponytail. Now add the tail up and into your bun hairspraying as you go. 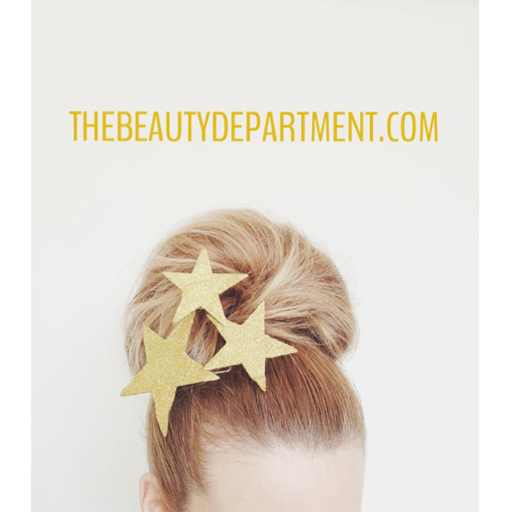 The reason for this step is this piece will keep your bun from looking like some kind of pastry! The little piece you’re adding in there diffuses the shape of the bun. Secure the edges of the bun with some hair pins. Give the bun one final spray all over. There it is! 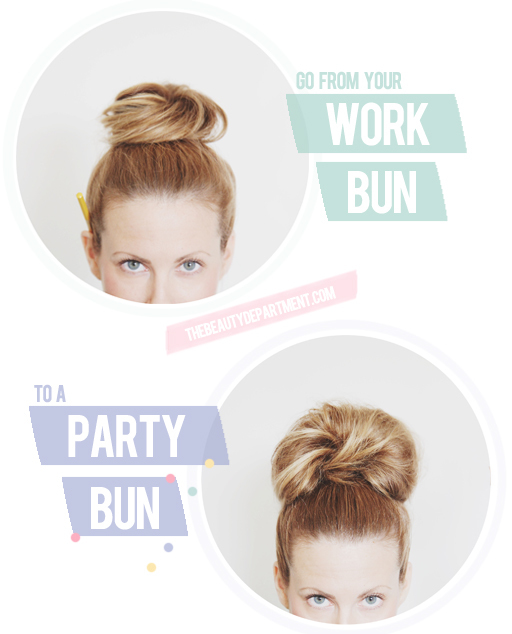 The big ol’ party bun. Hope you wear it with your favorite sparkly get up this holiday season. Last week we saw so many of your gorgeous Rodarte-inspired braids! 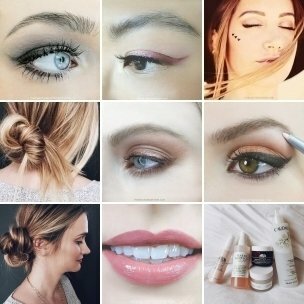 If you try this updo, don’t forget to tag us in your instagram @thebeautydept! Can’t wait to see what you accessorize with!